Properties FormTablet Weight72 (gms) Dimensions4.5 (cm) x 4.5 (cm) x 8.4 (cm) About Septilin Tablet Enhances immunity: Septilin’s immunomodulatory, antioxidant, anti-inflammatory and antimicrobial properties are beneficial in maintaining general well-being. It increases the level of antibody-forming cells, thereby elevating the body’s resistance to infection. Septilin stimulates phagocytosis (elimination of bacteria through ingestion) by macrophage (white blood cells) activation, which combats infection. Other benefits: Septilin possesses antipyretic (reduces fever) properties. It is also beneficial in respiratory tract infections, including chronic tonsillitis, pharyngitis, chronic bronchitis, nasal catarrh (mucous membrane inflammation of the respiratory tract) and laryngitis. Key ingredients of Septilin Tablet Tinospora Gulancha (Guduchi): is a potent antimicrobial that has immunostimulatory properties, which helps in increasing the level of antibodies. This helps in building up the body’s resistance to infections. Licorice (Yashtimadhu): enhances immunostimulation and increases macrophage (white blood cells that ingests antibodies) function in vitro. It is also an antiviral agent and an expectorant, which is beneficial in asthma, acute or chronic bronchitis and chronic cough. Indian Bdellium (Guggulu): has anti-inflammatory properties, which soothe sore throat and help reduce inflammation. As an antioxidant, Indian Bdellium helps in maintaining overall health. Therapeutic Indications of Septilin Tablet Septilin is helpful in following health conditions. Upper or lower respiratory tract infections Sore throat or Pharyngitis Recurrent common cold and nasal catarrh Recurrent infections – (reduces recurrence) Allergic reactions Skin or soft tissue infections Ocular infections (rarely used) * Urinary tract infections (as supportive therapy) Dental and periodontal infections (rarely used) * Bone and joint infections (rarely used) * Adjuvant to antibiotic treatment (rarely used) Antibiotic resistance infections – for improving immunity to fight of infections Postoperative conditions – for early recovery Chronic tonsillitis Chronic bronchitis Laryngitis Key Benefits of Septilin Tablet Improve immunity:Septilin enhances immunity. It has immunomodulatory and antioxidant action in the body, which helps preventing infections. 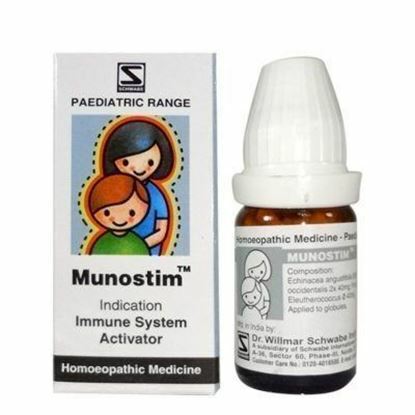 It is non-specific immunity enhancer, which helps increasing antibody forming cell level and thus builds resistance against various infections. Especially, it is good remedy for people suffering from recurrent attacks of upper respiratory tract infections and sore throat. Phagocytosis stimulation: Septilin activates white blood cells (macrophages) circulating in the bloodstream and stimulates phagocytosis, which helps fighting off the infection. Therefore, it provides great support in anti-infection therapies. Combat fevers: However, Septilin has mild antipyretic properties, but it provides a great support to other ayurvedic remedies. Most commonly, it increases antipyretic action of Praval pishti, which is most common ayurvedic remedy used for lowering fever. According to symptoms and type of infection, patient may require other remedies. 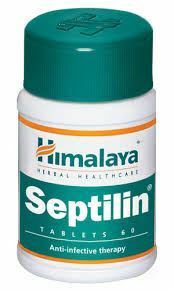 Sore Throat Septilin has soothing action and anti-inflammatory properties due to which it is effective remedy for sore throat. In mild cases, it can work alone, but in severe cases, it should be given with Gandhak Rasayan and Yashad Bhasma (calcined zinc). Bronchitis Septilin reduces the purulence and volume of the sputum. It facilitates expectoration, reduces thickness of mucus and prevents superadded infections of the respiratory tract. It increases serum IgG level significantly when used for 2 months regularly. Boils & Carbuncles There are many herbs in Septilin, which have antimicrobial, anti-inflammatory and wound healing properties. Studies have also shown that Septilin is effective against Staphylococcus Aureus and Streptococci. It also prevents recurrence of boils and carbuncles. Dosage of Septilin Tablet Septilin tablets are generally given to adults. Moreover, people with diabetes can take Septilin tablets safely without worry about sugar content that is present in the Septilin syrup. In adults, two tablets twice a day is sufficient dosage for combating sore throat, inflammation and enhancing immunity. Side effects of Septilin Tablet Septilin is not known to have any side effects. Terms and Conditions We have assumed that you have consulted a physician before purchasing this medicine and are not self medicating. Properties FormSyrup Weight288 (gms) Dimensions5.1 (cm) x 5.1 (cm) x 14 (cm) About Septilin Syrup Enhances immunity: Septilin’s immunomodulatory, antioxidant, anti-inflammatory and antimicrobial properties are beneficial in maintaining general well-being. It increases the level of antibody-forming cells, thereby elevating the body’s resistance to infection. Septilin stimulates phagocytosis (elimination of bacteria through ingestion) by macrophage (white blood cells) activation, which combats infection. Other benefits: Septilin possesses antipyretic (reduces fever) properties. It is also beneficial in respiratory tract infections, including chronic tonsillitis, pharyngitis, chronic bronchitis, nasal catarrh (mucous membrane inflammation of the respiratory tract) and laryngitis. Key ingredients: Tinospora Gulancha (Guduchi): is a potent antimicrobial that has immunostimulatory properties, which helps in increasing the level of antibodies. This helps in building up the body’s resistance to infections. Licorice (Yashtimadhu): enhances immunostimulation and increases macrophage (white blood cells that ingests antibodies) function in vitro. It is also an antiviral agent and an expectorant, which is beneficial in asthma, acute or chronic bronchitis and chronic cough. Indian Bdellium (Guggulu): has anti-inflammatory properties, which soothe sore throat and help reduce inflammation. As an antioxidant, Indian Bdellium helps in maintaining overall health. Therapeutic Indications of Septilin Tablet Septilin is helpful in following health conditions. Upper or lower respiratory tract infections Sore throat or Pharyngitis Recurrent common cold and nasal catarrh Recurrent infections – (reduces recurrence) Allergic reactions Skin or soft tissue infections Ocular infections (rarely used) * Urinary tract infections (as supportive therapy) Dental and periodontal infections (rarely used) * Bone and joint infections (rarely used) * Adjuvant to antibiotic treatment (rarely used) Antibiotic resistance infections – for improving immunity to fight of infections Postoperative conditions – for early recovery Chronic tonsillitis Chronic bronchitis Laryngitis Key Benefits of Septilin Tablet Improve immunity:Septilin enhances immunity. It has immunomodulatory and antioxidant action in the body, which helps preventing infections. It is non-specific immunity enhancer, which helps increasing antibody forming cell level and thus builds resistance against various infections. 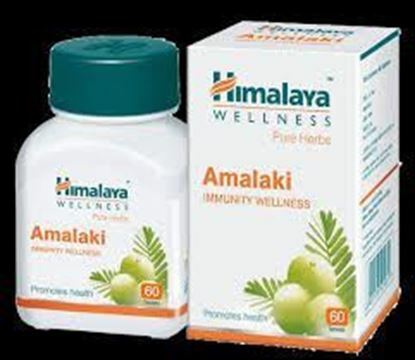 Especially, it is good remedy for people suffering from recurrent attacks of upper respiratory tract infections and sore throat. Phagocytosis stimulation: Septilin activates white blood cells (macrophages) circulating in the bloodstream and stimulates phagocytosis, which helps fighting off the infection. Therefore, it provides great support in anti-infection therapies. Combat fevers: However, Septilin has mild antipyretic properties, but it provides a great support to other ayurvedic remedies. Most commonly, it increases antipyretic action of Praval pishti, which is most common ayurvedic remedy used for lowering fever. According to symptoms and type of infection, patient may require other remedies. 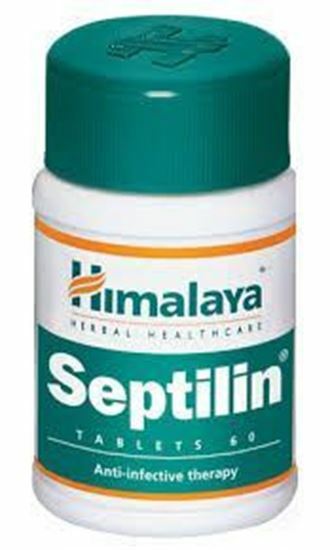 Sore Throat Septilin has soothing action and anti-inflammatory properties due to which it is effective remedy for sore throat. In mild cases, it can work alone, but in severe cases, it should be given with Gandhak Rasayan and Yashad Bhasma (calcined zinc). Bronchitis Septilin reduces the purulence and volume of the sputum. It facilitates expectoration, reduces thickness of mucus and prevents superadded infections of the respiratory tract. It increases serum IgG level significantly when used for 2 months regularly. Boils & Carbuncles There are many herbs in Septilin, which have antimicrobial, anti-inflammatory and wound healing properties. 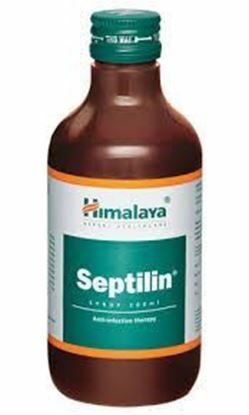 Studies have also shown that Septilin is effective against Staphylococcus Aureus and Streptococci. It also prevents recurrence of boils and carbuncles. Dosage of Septilin Syrup Children-1 tsp. 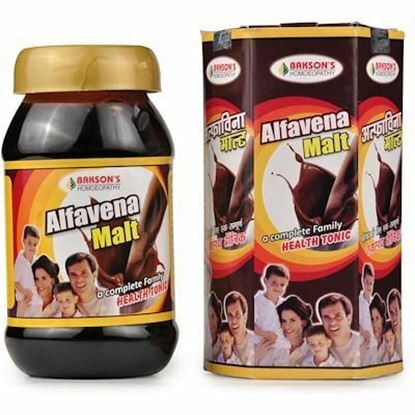 twice or thrice a day Adults -2 tsp. twice or thrice a day Side effects: Septilin is not known to have any side effects. Terms and Conditions We have assumed that you have consulted a physician before purchasing this medicine and are not self medicating.